No more heavy clutch pull! AM-LC: A new clutch slave cylinder for the 2017 and up Touring models to help combat the heavy and horrible feeling clutch lever. With the rise in demand of needing a lighter, more comfortable clutch lever, we offer the Light Force Clutch Slave Cylinder. 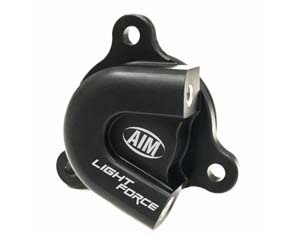 A revolutionary Light Force Slave Cylinder utilizes a larger piston than stock along with special engineering features which will provide a staggering 40% decrease in clutch lever pull. This heavy duty slave cylinder is made with a steel piston with upgraded seals, paired with a special surface treatment for super low friction to help further the longevity and the ease of operation of the slave cylinder. Black Anodized with special coating finish for high durability. Quick Installation, no modifications needed. 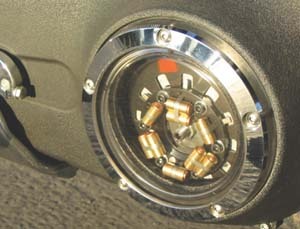 Harley Davidson Assist and Slipper Clutch; 3 Stud Style Clutch. 2017 and later Touring Models equipped with a hydraulic clutch. Variable Pressure Cutch: The Variable Pressure Clutch Kit reduces the spring tension for up to 50% reduction in clutch pull. The product will fit in stock primary and derby covers with no extra parts other than the VP kit supplies. 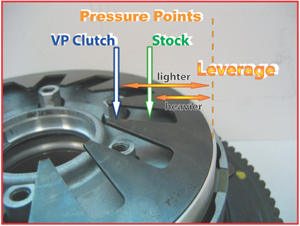 At low RPM, where the clutch is more frequently engaged, the VP Kits make the clutch pull very light. 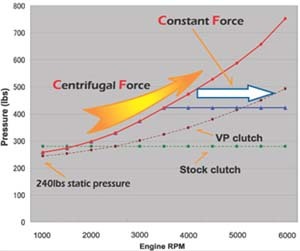 As RPM goes up, the engine produces more torque and the VP clutch's centrifugal pressure applies more force to the clutch plate, eliminating slippage. Various kits are offered for the Evolution and Twin Cam enginess ranging from 80, 88, 95, 103 and 124 cubic inches for stock, Screaming Eagle and Stroker big twin models. Fitment 1998 and later Big Twin Model with 6 Studs Clutch Hub. (except '13 and later CVO and Tri-Glide, '15 and later Ultra Limited Low and Electra Glide Classic Low Models with New H-D Assist and Slipper Clutch: 3 Studs Clutch Hub). Note: H-D stock derby cover, 103" and 110" CVO Covers (except any special or '03 anniversary) are not required a derby cover spacer. Non-stock derby cover (including any special or '03 anniversary cover) and 3 holes derby cover may require a derby cover spacer. The size of the displacement above is a just guideline to select VP clutch and spring. These numbers will be changed depend on motorcycle specifications. Notes: H-D stock derby cover, 103" and 110" CVO Covers (except any special or '03 anniversary) are not required a derby cover spacer. Non-stock derby cover (including any special or '03 anniversary cover) and 3 holes derby cover may require a derby cover spacer.The size of the displacement above is a just guideline to select VP clutch and spring. These numbers will be changed depend on motorcycle specifications. Note: H-D stock derby cover, 103" and 110" CVO Covers (except any special or '03 anniversary) are not required a derby cover spacer. Non-stock derby cover (including any special or '03 anniversary cover) and 3 holes derby cover may require a derby cover spacer.The size of the displacement above is a just guideline to select VP clutch and spring. These numbers will be changed depend on motorcycle specifications. VP-95LT: Similar to above kits but for CVO & TriGlide platforms. 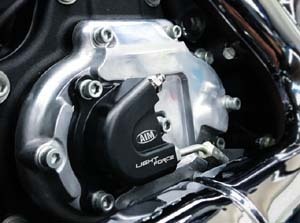 Pro Charger: VP-ProCharger is the maximum pressure combination kit using H-D stock clutch. 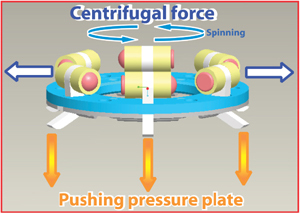 It handle over 200HP high power engine. Fits '98 and later Big Twin models. Kit includes the VP92T, Billet pressure plate and 480lbs clutch spring. 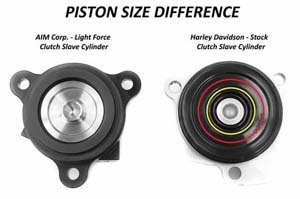 Note: H-D stock derby cover (except any special or '03 anniversary) is not required a derby cover spacer.Non-stock derby cover (including any special or '03 anniversary cover) and 3 holes derby cover may require a derby cover spacer. The size of the displacement above is a just guideline to select VP clutch and spring. These numbers will be changed depend on motorcycle specifications. Clutch pull becomes heavier as RPM increases. Clear Derby Cover: For '99 and later big twin models (except 2015 and later Ultra Limited Low and Electra Glide Classic Low models). Two peace style, clear poly-carbonate cover and polished aluminium ring, providing a non leak seal. Comes with 5 stainless steel mounting screws (required special gasket). No spacer required when installing our VPs. 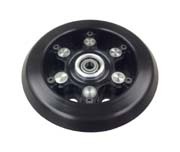 Derby Cover Spacers: These derby cover spacers make enough clearance between our VP Clutches or CF2 clutch kits and stock or non-stock derby cover. Outside wall is a polish finished like chrome. Kit includes 5 longer bolts. Available for 5 holes and 3 holes style derby cover. Note: Kit is not includes derby cover gasket. Two gaskets are required. Derby cover gasket (Parts#AM003-001) sold separately or modify H-D stock gasket. VP-DS-1/8: Fits '99 and later Big Twin models (5 holes derby cover). 1/8" thickness. Outside wall is a polish finished like chrome. Kit includes 5 longer bolts. Note: Kit is not includesderby cover gasket. Two gaskets are required. Derby cover gasket sold separately or modify H-D stock gasket. Also for 2016+ model with narrow primary cover when installing the VP-LT series. VP-DS-1/4: Same as above but 1/4". VP-DS-1/8: Same as above but 1/8". VP-DS-3/8: Same as above but 3/8". 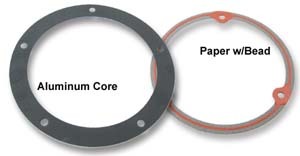 Derby Cover Gaskets: Recommended for use with our VP clutch or Derby cover spacer. Designed for VP Clutches. Compounded nitrile synthetic rubber bonded to an aluminum core (.060" thick). Also available O-ring and paper style. VP-DCG: Derby Cover Gauge. Align the bolt-mark on template to the top of bolt hole on the derby cover and lower side align to the center of the bottom two holes on the derby cover when checking a clearance. Template for 1998 and up all 5 hole Derby Covers. BB-LT: Lite Clutch reduces effort required to pull clutch lever by 40%, which lessens rider fatigue and provides smoother, easier clutch action. Ideal for women riders, or stop-and-go traffic. 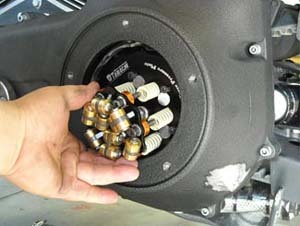 The Lite Clutch fits inside the primary cover on Sportster® models, and the transmission cover on Big Twins.